The Federal University of Agriculture, Makurdi (FUAM) proposed calendar of academic activities for the 2018/2019 academic session admitted pre-degree students. See FUAM pre-degree academic calendar below. 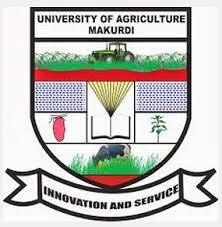 The management of the Federal University of Agriculture, Makurdi (FUAM) has released the proposed academic calendar for the 2018/2019 academic session pre-degree students. According to the calendar, FUAM 2018/2019 pre-degree programme will come to an end on Monday, 15th July, 2019. See the full breakdown below.